Hello and thanks for stopping by! The Whole Hive is a website dedicated to enjoying a simple, balanced, and complete life. The Whole Hive is symbolic of a beehive - a community of individuals working together toward a common cause. As the saying goes, the whole is greater than the sum of its parts. 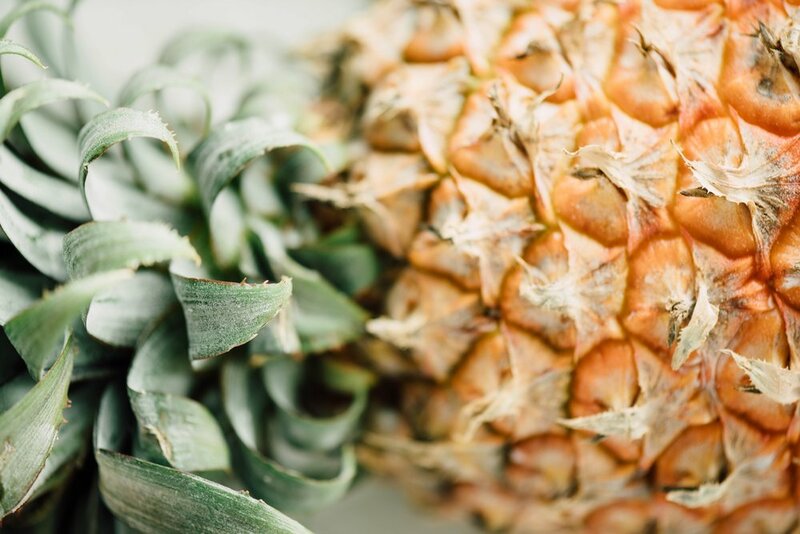 Did you know that pineapples are a symbol of warmth and welcome? They're also great for digestion, reducing inflammation, and clear skin! Skincare and wellness coaching are my passions. Giving facials, helping you work on your goals, or both - I want you to be your best you on the inside and out! I'm passionate about skincare and beauty. As a Licensed Esthetician, my approach is simple and holistic. More isn't always better. In our work together, I combine my knowledge of traditional and nutritional esthetics to get you glowing. Click here to learn about my 360° approach to skin. Whether it's one on one, in a group, or guiding a workshop, I am here to help you stay committed to reaching your goals and make lasting changes. We're all different, so let's tailor a program for YOU! Let's get started! With a pinch of self reflection and a dash of analysis, I started to realize my obstacles were ingredients for a better outcome. Here's my story and why I'm passionate about helping others.